Both sides are very familiar with each other; they two battled for several years on the practice field. All the Chargers need to do is watch the way the Carolina Panthers pressured Brees in Week 7, and they can find a recipe for success. The Chargers realize how quick Brees can unload the football, though. If Brees returns to form, he should have a typical 300-yard performance. He will be highly motivated to play against his former team and eager to put up big numbers, a likely possibility against an underachieving defense ranked last against the pass. The Chargers can’t rely on running back LaDainian Tomlinson and the running game any longer. They need their passing offense to carry them if they are to beat the high-scoring Saints. 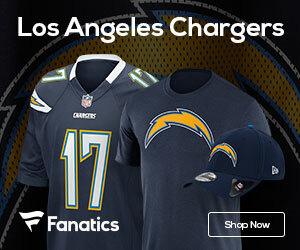 Rivers has been up to the task of winging the ball (he leads the NFL with 16 touchdown passes), and wide receiver Vincent Jackson (478 receiving yards) has been highly productive. If the offensive line can keep Saints defensive ends Will Smith and Charles Grant away from Rivers, he could be in line for a big day against an average Saints secondary. Cornerback Mike McKenzie will need some of his teammates to step up their play, particularly if wide receiver Chris Chambers (ankle) returns to action. Colston’s return was a disappointment last week – he caught no passes, in part because of two drops. He should be more of a factor in his second game back; the rust was apparent after he missed five weeks with a torn thumb ligament. He is determined to rebound this week against a Chargers defense susceptible to the pass. Cromartie will likely be the defender guarding Colston, and the Chargers’ corner is one of the league’s best. He has just two interceptions (both were in the same game), though, and he hasn’t made the same impact that he did a year ago.